Craftin' Caro: FFAF Day 9: I is for "I Like You"
FFAF Day 9: I is for "I Like You"
Today is Day 9 of February's Fabulous Alphabet Fun, and we're continuing with the letter "I". Who doesn't love daisies and frogs? 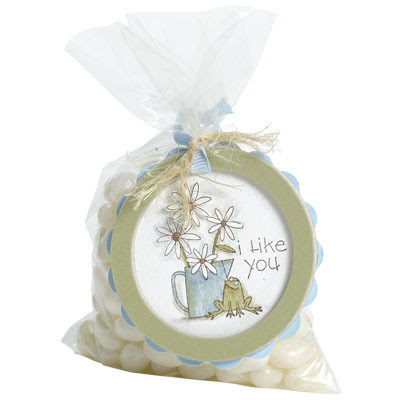 Tell someone you like them with this unique scalloped tag attached to their favorite treat. They'll love your thoughtfulness, and you'll love making it! At some point, I MUST HAVE that "Flower for all Seasons" set...it's just so STINKIN' cute!